**Some restrictions may apply to Acrylic, Glass and PVC materials, on the 98" model. Please contact your local Foster Keencut Dealer for more information. All New For 2014... The 98" SteelTraK Cutter! This strong, reliable vertical cutter handles FULL SIZE 4'x8' boards. 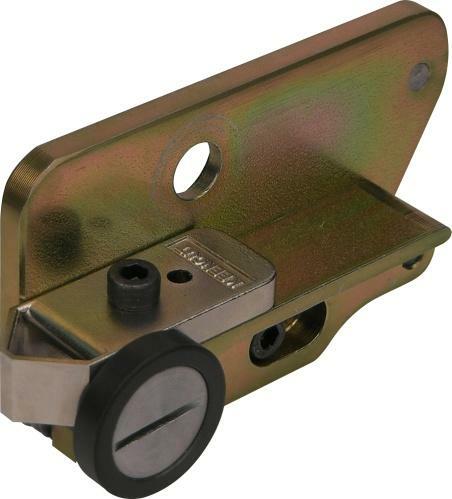 The Main Body encloses a balance weight system so that the Cutting Head can be suspended at any height. 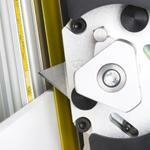 Change blades in an instant, and no need to lift the heavy duty Cutting Head. Easy operation for cutting 98" media using the Pull Bar system. 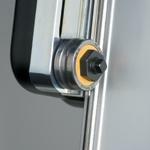 Two flip stops – which can be engaged or disengaged without disturbing the settings – make cutting-to-size easy. 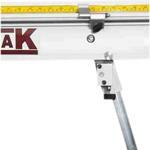 Ultra precise vernier screw adjustment provides a permanent, perfect 90° squaring arm and accurate cuts every time. 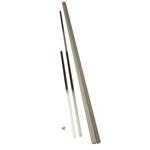 Optional Glass Cutting Kit for scoring & snapping up to 1/4" thick glass (model # 69129). Glass scoring wheel and cartridge.